Very pretty. 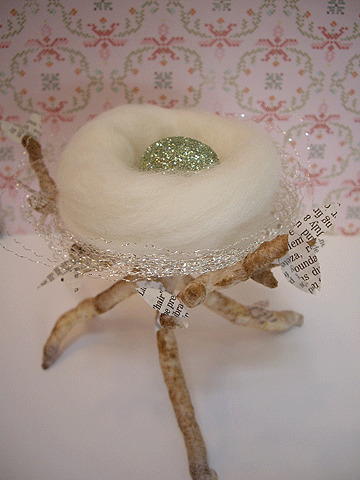 I wish I was crafty! so very sweet! i love that you took it in your own direction ~ it’s lovely! 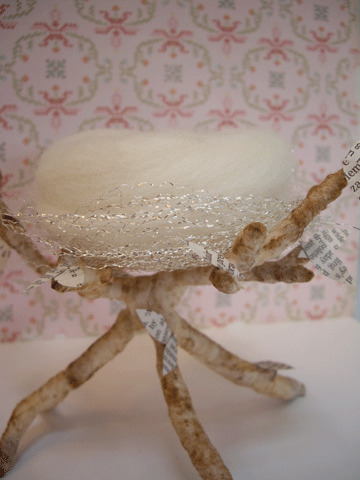 crystal will be teaching a similar nest project at our little retreat ~ lucky us! Oh! This is so pretty! 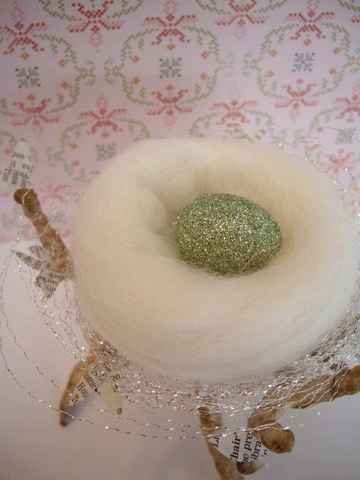 I love the addition of the glittered egg…just wonderful!